Monitoring is more than just up time and 200 OK! 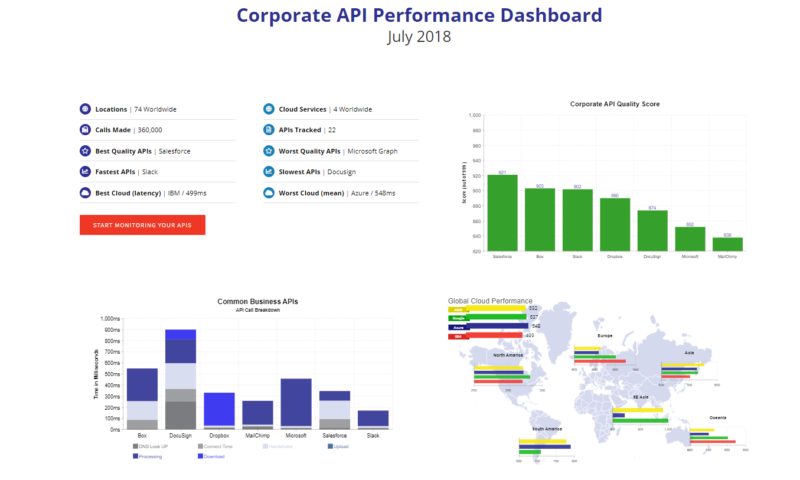 Only APImetrics has integrated API analysis driven by machine learning systems trained on more than a billion API calls. We help you understand how your APIs are really working – and impacting your customers and services. Set service compliance criteria based on any of the data returned by your APIs. Have a regulatory or client set SLA needs for a specific timing component, set alerts and triggers based on the result, with or without networking effects. Automatically count the number of returned items for a regulatory requirement, or spot performance problems in otherwise healthy looking APIs. 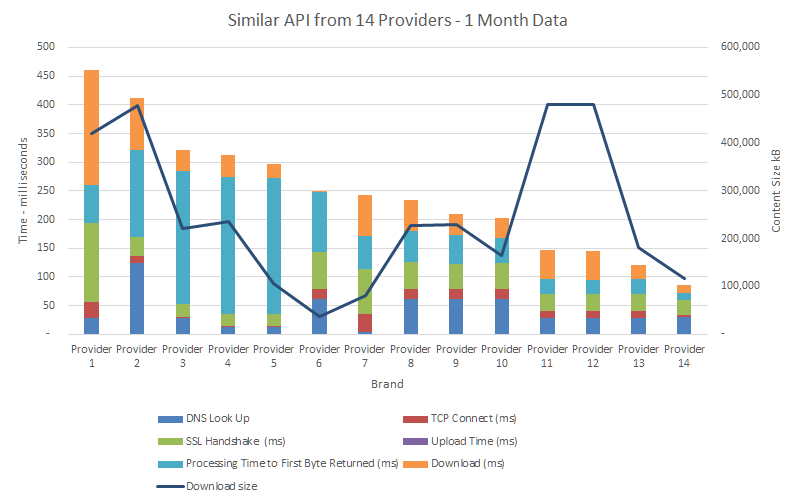 APImetrics doesn’t just show how your API is working in terms of pass rates, latency and other data. We provide indicative comparisons against similar APIs in your sector and similar types of organization. You may be happy with your performance. But how does it measure up to the rest of the industry? Only APImetrics is truly cross-cloud, with application servers hosted on all 4 major clouds – and other locations, too. If that isn’t enough, you can install one of our containers where you need it, or even on a micro-controller device like a Raspberry Pi. All results are logged and categorized against your historical performance and industry benchmarks to flag outliers, problems and areas of potential concern. 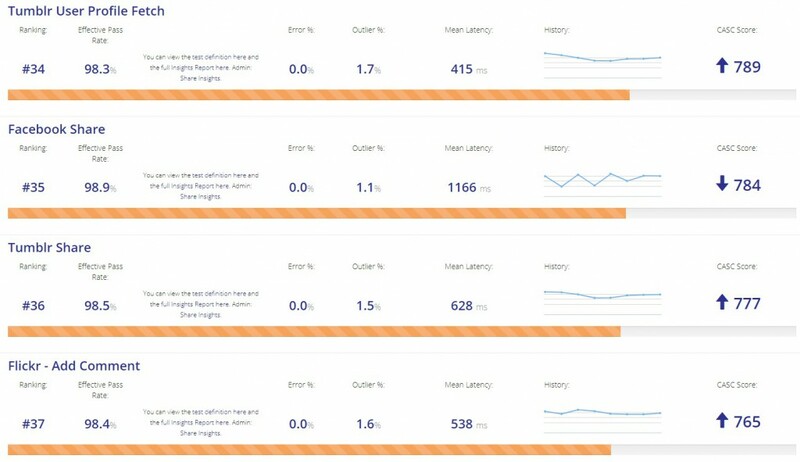 Uptime reporting and alerts are part of the process, as well as statistical analysis of the latency and heat map and histographic analysis of when things slow down and where that happens. It’s fine being responsive in the USA, but what happens when your customers are in Japan? 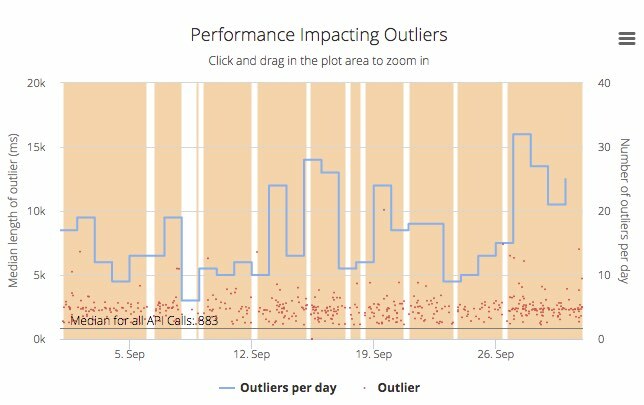 Machine learning algorithms detect outliers, classify them by likely cause – i.e cloud, location or server and flag them for easy review at at a later date. Combined with ‘water marking’ of calls, this can be a powerful tool for problem solving and a huge money saver. Get to the issues quickly without wasting hours on endless elastic searches and more. Sign up for a free account, or let us get you started.